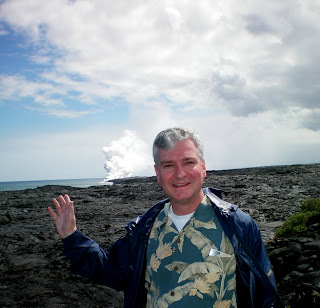 Travel Stories and Photographs by John. 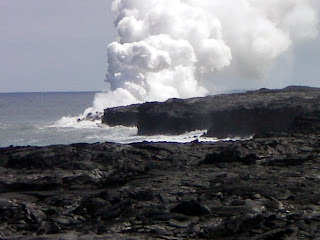 Pictures enlarge if you click on them. 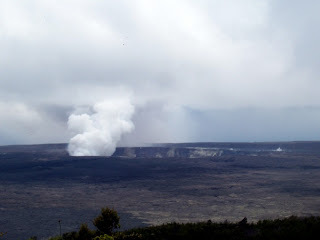 View of Kilauea's Halema`uma`u Crater from the Volcano House, a hotel in Hawaii Volcanoes National Park. 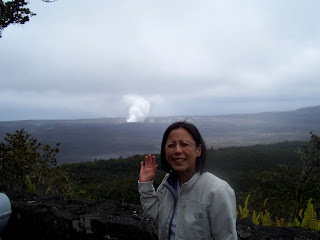 Catherine and I went to the Hawaii Volcanoes National Park on the Big Island of Hawaii. 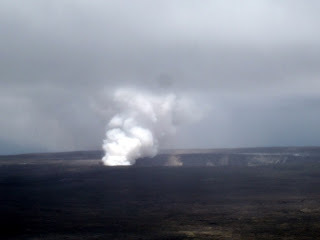 A swarm of earthquakes and subsequent formation of a fumarole (vent emitting gasses) the morning of March 12, 2008, has progressed to be the first explosive eruption in Halema`uma`u Crater since 1924 and the first lava erupted from the crater since 1982.The new vent in Halema`uma`u Crater is erupting elevated amounts of sulfur dioxide gas and ash. 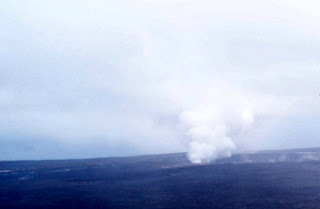 An ash-laden plume rises from the newly formed vent within Halema‘uma‘u Crater. 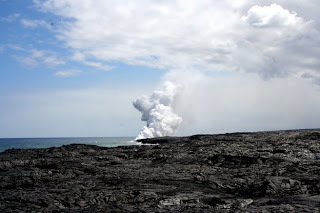 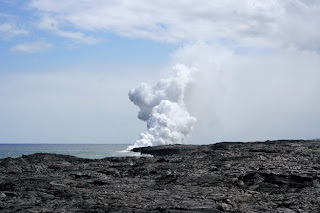 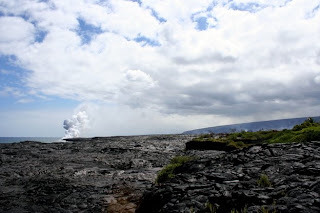 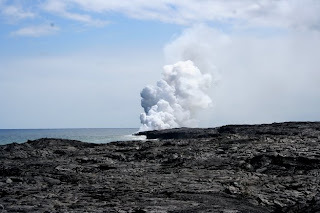 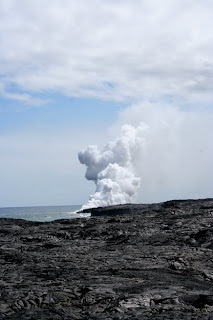 Lava is currently flowing from a vent that is outside of Hawai`i Volcanoes National Park. 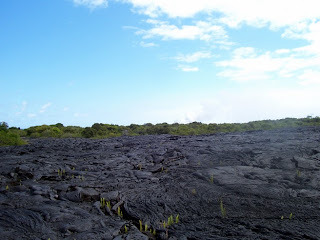 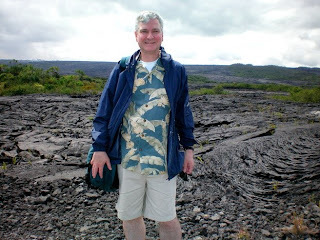 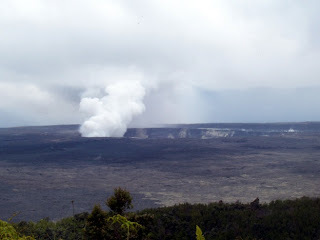 The site is east of the eastern boundary of the park and about 12 miles from the summit caldera of Kilauea. 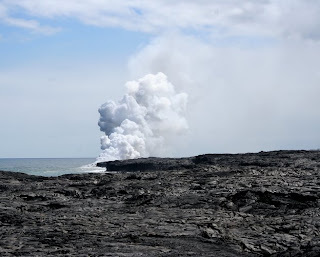 Hawai`i County has opened a viewing area at the end of Highway 130. 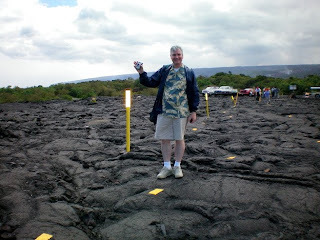 The hike from the parking area to the viewing site is about a half-mile. 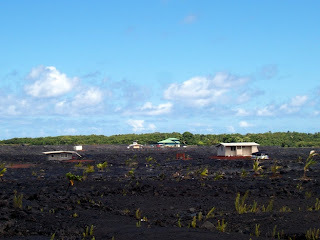 On the way to the lava viewing area, Catherine and I saw this sub-division of homes. 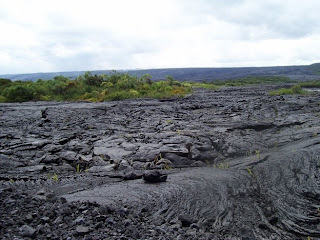 I don't know if they survived the lava flow or were subsequently re-built. 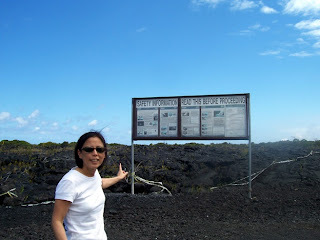 Warning signs at the entrance to the viewing area. 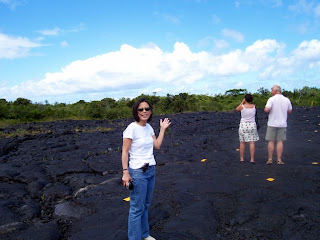 Catherine walking out to the lava viewing area. 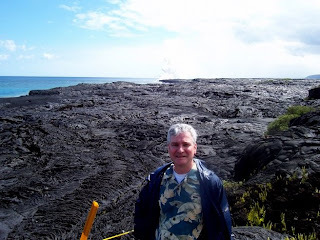 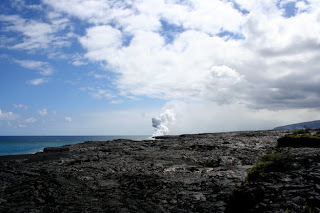 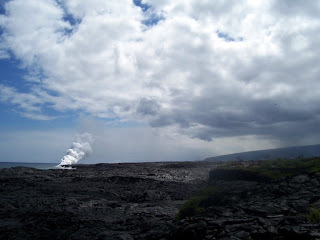 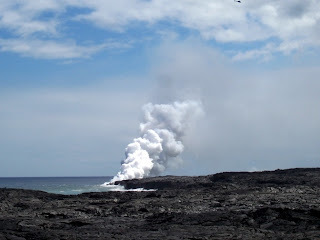 We could not see the glow from the lava, but we saw the steam and ash from where the lava flowed into the ocean. 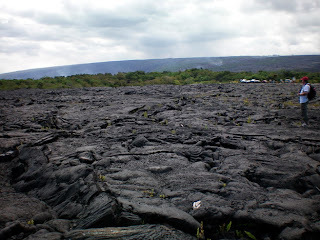 We walked out over a cold lava flow to the viewing area. 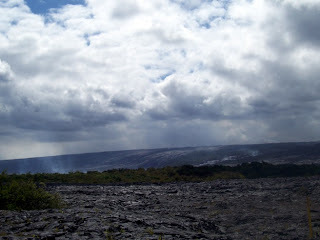 In this photo you can see the smoke from the lava as it flows down the Kilauea hillside. 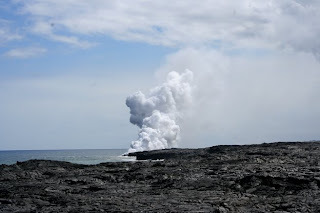 Use the search box at the bottom of this page to find previous postings on London, Amsterdam, Japan, Germany, Austria, Yellowstone, New York, Boston, Switzerland, Alps, Plymouth Mass., Washington DC, San Francisco, Manila, San Diego or Quebec. 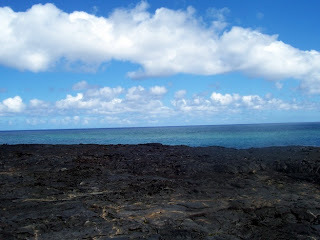 this is really agood article.thanks for sharing.the scenery is beautiful. 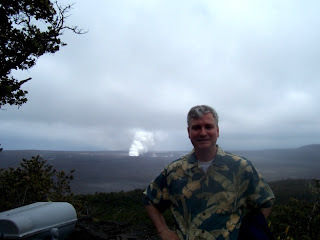 I have traveled a great deal for work as well as for pleasure. 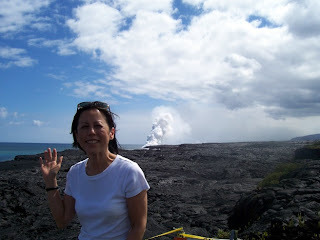 I share stories of my travels and related pictures.